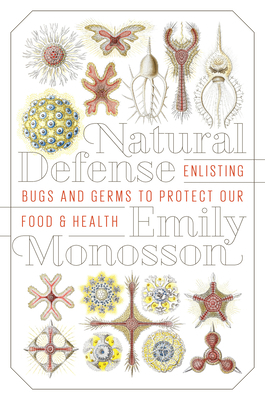 Emily Monosson is a toxicologist and author, a member of the Ronin Institute for Independent Scholarship, and holds an adjunct faculty position in the Department of Environmental Conservation at the University of Massachusetts, Amherst. In recent years, her focus has turned toward the impact of industrial age chemicals and technology on food and medicine. Her most recent books are Natural Defense: Enlisting Bugs and Germs to Save Our Food and Medicine, Unnatural Selection: How We Are Changing Life Gene by Gene, and Evolution in a Toxic World: How Life Responds to Chemical Threats. She has published in The Scientist, Aeon, LA Times, American Scientist, and Whole Terrain in addition to academic journals and blogs somewhat regularly at toxicevolution.wordpress.com. — Daphne Miller MD, author of "Farmacology: Total Health from the Ground Up"
— Kristin Ohlson, author of "The Soil Will Save Us: How Scientists, Farmers, and Foodies Are Healing the Soil to Save the Planet"
— Brooke Borel, author of "Infested: How the Bed Bug Infiltrated Our Bedrooms and Took Over the World"